As you can see in the map below, these municipalities are all located at the north side of the Rio Tejo. Accordingly to the latest statistics it has more than 2,124,000 inhabitants. 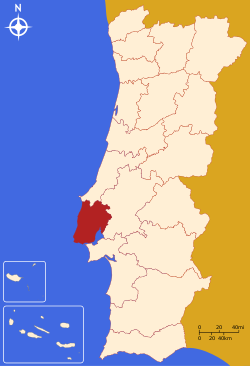 It covers and area of approximately 2,761 Km2 (it's one of the smallest Districts of Portugal in territory).